WALTHAM, MASS | EDC Distinguished Scholar Al Cuoco was recently honored by the Mathematical Association of America, the world’s largest community of mathematicians, which presented him with its prestigious Mary P. Dolciani Award. The award recognizes a mathematician who is making a significant contribution to the mathematical education of K–16 students in the United States or Canada. 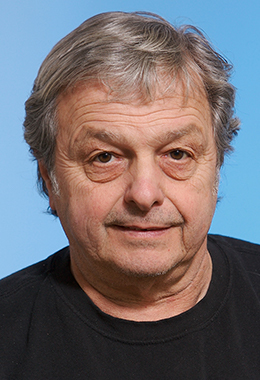 Cuoco was commended for “the highly original and highly mathematical nature of these contributions to mathematics education and the national stature of his programs.” The award comes with a monetary prize of $5,000. The Beauty and Joy of Computing (BJC), an NSF-funded partnership of EDC, the University of California, Berkeley, and the New York City Department of Education, is revising an innovative AP CS Principles course developed at Berkeley. Designing for Equity by Thinking in and about Mathematics is a community of mathematical practice devoted to closing the opportunity gap for marginalized secondary mathematics students in Pittsburgh. This work is funded by NSF, and its partners include Pittsburgh Public Schools, the University of Pittsburgh, and the Carnegie Mellon University. Assessing Secondary Teachers Algebraic Habits of Mind is a research project to identify and measure the mathematical habits of mind that secondary teachers use in their professional lives. This project is also funded by NSF. The CME Project, a four-year high school mathematics curriculum, is based in problems and exploration and organized around mathematical habits of mind and central mathematical themes. The curriculum was developed with support from NSF, published by Pearson, and is currently used in over 2,000 classrooms nationwide. Cuoco serves on the board of directors for Math for America–Boston, as well as on the advisory board for the Mathematics Department at the University of Massachusetts, Lowell. He holds a PhD in mathematics from Brandeis University.